Thanksgiving is this week. Can you believe it? That means time with the family, then time to hit the stores for some shopping on Black Friday. Or you could be one to avoid the crowds and do your shopping online, like me. I’ve already started shopping for my family. I’m not super organized where I buy stuff way out in July, but once autumn hits, I go into holiday mode and makes lists and start keeping an eye out for deals. This season, I’m going to be doing some holiday shopping on eBay. Why? Because they have the hottest toys this season at great prices. And yes, you can get them brand new, just like you’d find in the stores. I’ve been shopping on eBay for years for everything from clothing to movies to toys and more. I love eBay because you can get some really good deals and hard-to-find stuff too. Toys-R-Us has a store on eBay now and there, you can get the same great selection of toys and deals as you’ll find at Toys-R-Us, only on eBay! eBay even has their own Gift Guide with thousands of gifts and free shipping! I just learned that eBay has a mobile app. This makes it easier than ever to bid, buy-it-now, or check on the status of an item. You can also shop while on-the-go so if you’re at the store and thinking about purchasing something, just open up your eBay app to see if you can get it cheaper there. An app that can save me money? Count me in! Follow eBay on Twitter, Facebook, and Pinterest for more information on the latest holiday toys and deals. Will you try eBay for your holiday shopping this year? My grandson would LOVE that Chemistry set and the Lego set. Very cool! Thank you for the reminder! I haven’t been on ebay in forever! We have the LeapPad from last year and just bought the new pink one for my younger daughter’s birthday, which is this week. My kids love the original and fight over it, so I thought it was high time they each had one. So I highly recommend this one!! Most of these are already on my kids lists. I’ve never thought of going to eBay to purchase them. I’ll have to compare prices! eBay has everything for the holidays! Would love to get the Leap Pad 2 for my daughter. Loved the review. My kids keep going on and on about Furbys and they seem to be cheaper and easier to find on E-Bay! Like the review and ideas. 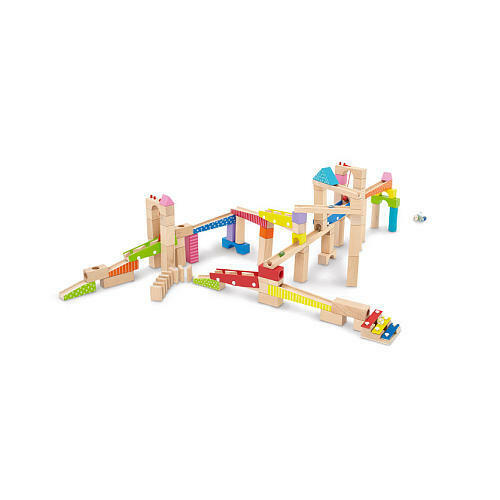 I like that imaginarium wooden marble run. My son will like the Edu Science Chemistry Set and the leap pad2!! My son received the Lego Fire Rescue set for his birthday and loves it. Can you really ever go wrong with Legos?! Agreed! They are always a hit! I plan on doing lots of shopping on ebay this Christmas. i’ve used ebay in the past and think it’s a great, easy and fun way to get gifts! i wasn’t aware of their gift guide…with free shipping!! i’m definitely going to check that out. I have been using Ebay for 14 years to buy and sell items. I love it. But I always double check the price and comparison shop before bidding and making purchases. I got 2 toys for my kids from this list! amazing!